Here is a 1940 National Collegian. I like Collegians. 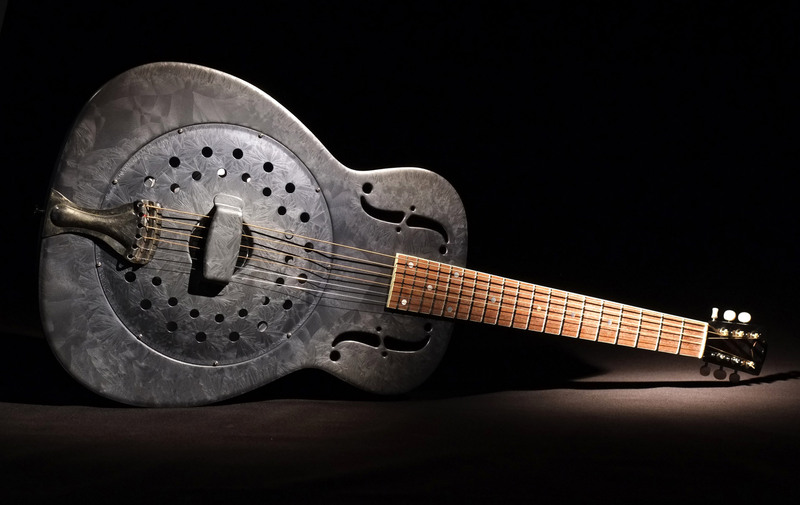 This single cone, metal-body resonator guitar is from near the end of production of this particular style. 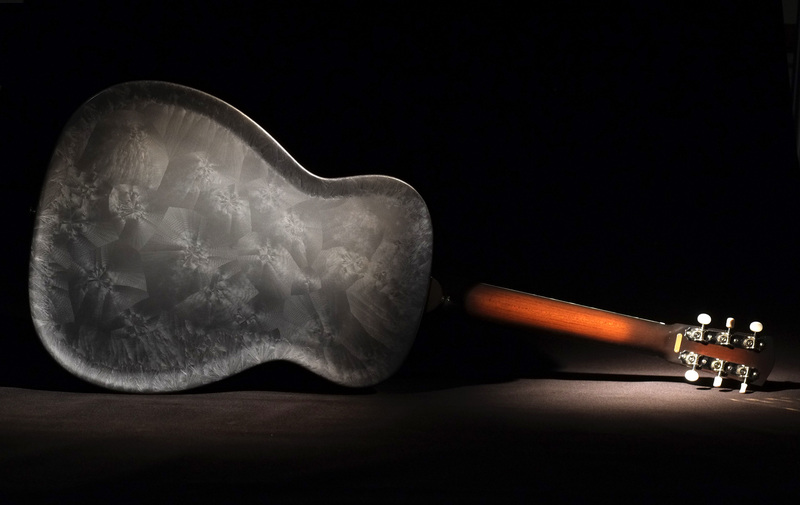 The neck on this guitar was made not by Regal, like most Collegians, but either Kay or Harmony. The heel on the neck is a very different shape from the heels on Regal-built necks. The heel is very similar to the heel on the “paddle-headstock” Style Os. Everything but the tuners are original on this guitar. 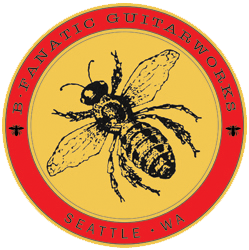 I gave it a non-bursted dark gray B•Fanatic Guitarworks frosted duco finish. Although Collegians are generally finished in a mottled-yellow, non-crystal finish, I’d like to think that there may be a few out there that were done in frosted duco. I guess there are some now.